The W Hotel & Residences is situated at the heart of Ausitn’s 2nd Street District, calling Lady Bird Lake, the Moody Theatre, and some of Austin’s best restaurants and boutique shops its neighbors. The W Austin Hotel & Residences is the centerpiece of the Block 21, home to ACL Live Moody Theatre and Tyson Cole’s Trace restaurant. The W lifestyle offers incomparable design and world-class services, treating their residents like VIP everyday. With a commitment to sustainability, The W Austin is a LEED certified building. 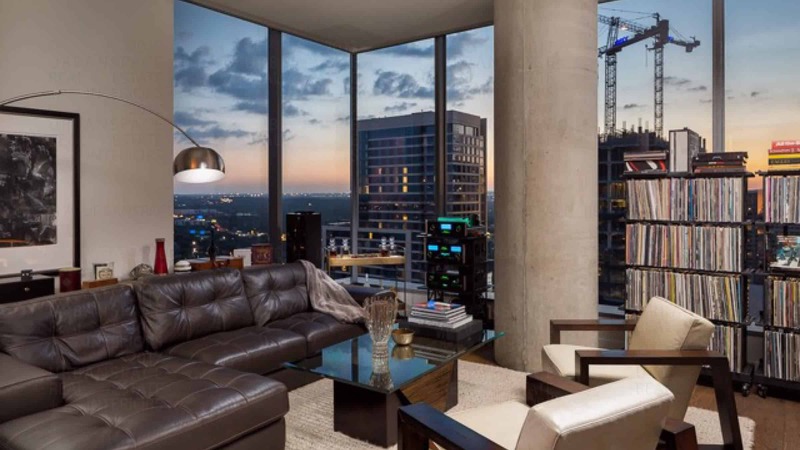 Revel in these spectacular views with floor-to-ceiling windows and enjoy high end finishes throughout including: Miele appliances, Bulthaup Cabinets, Walnut Flooring, and Keyless Entry. The W lifestyle offers incomparable design, world class service, and top notch luxury amenities including: 24/7 Whatever/Whenever concierge, A Private Resident Pool, 24/7 room service, Valet, The W Living Room, Trace restaurant, Ground Floor Retailers, ACL Live, Sweat gym, Away Spa, and The W Hotel. The W is located in the 2nd Street District, where there is entertainment and convenience all around. To learn more about the W Residences, and our current availability, please register and indicate your unit and oor plan preference below. We have units available for both resale and lease. Questions? Email us at contactus@urbanspacerealtors.com.